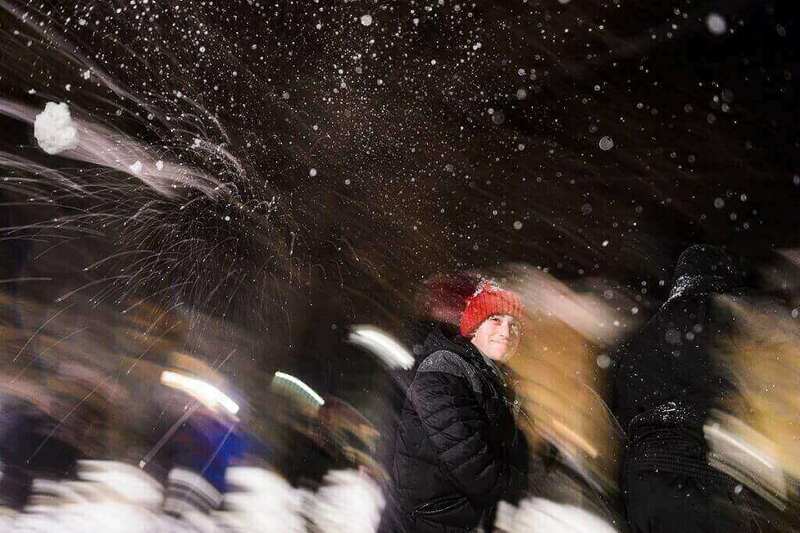 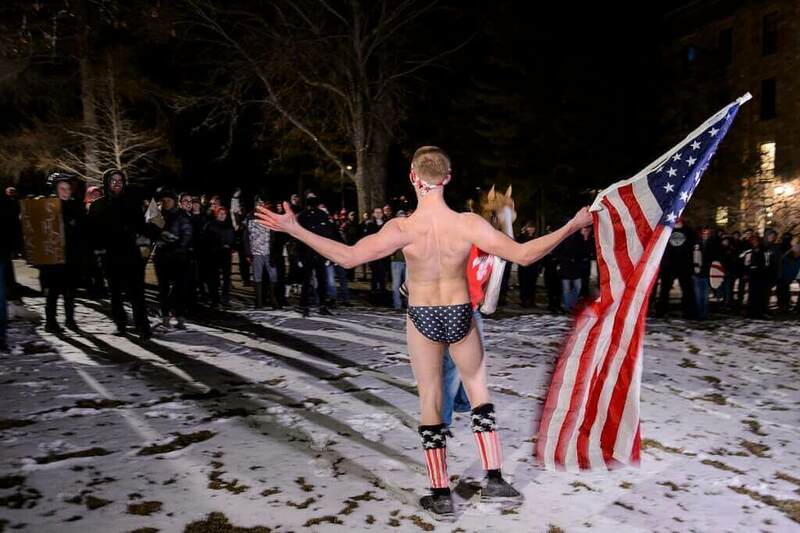 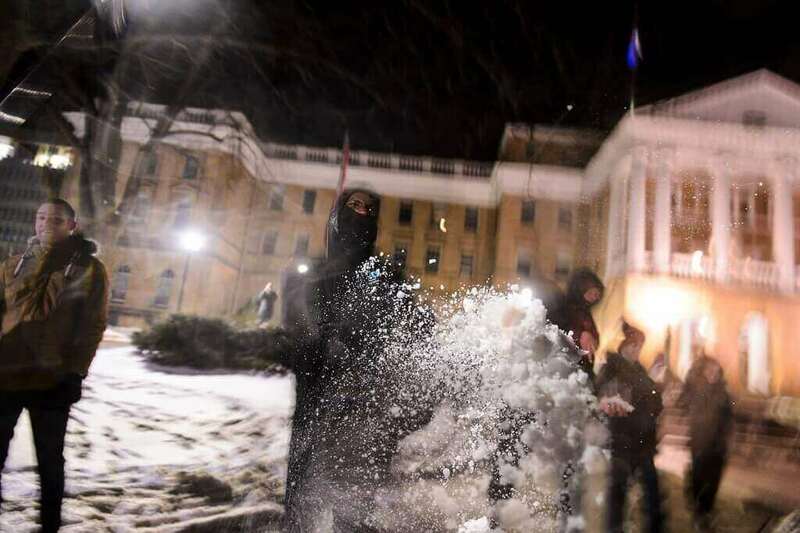 Hundreds of students — including basketball star Nigel Hayes and a guy in a Speedo who would have been warmer wrapped in the flag than waving it — engaged in the “Battle for Bascom,” an epic snowball fight held annually on Bascom Hill. 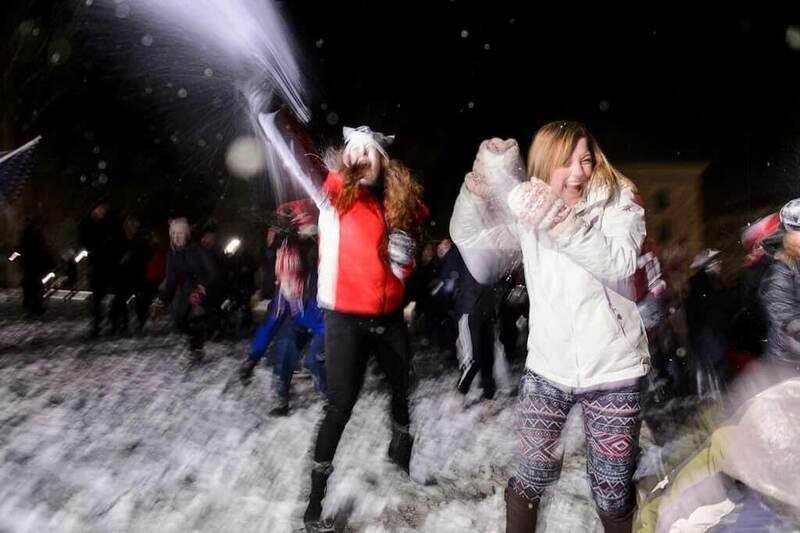 Five years running, the spirited battle pits members of the Lakeshore residence halls against those from the Southeast residence halls. 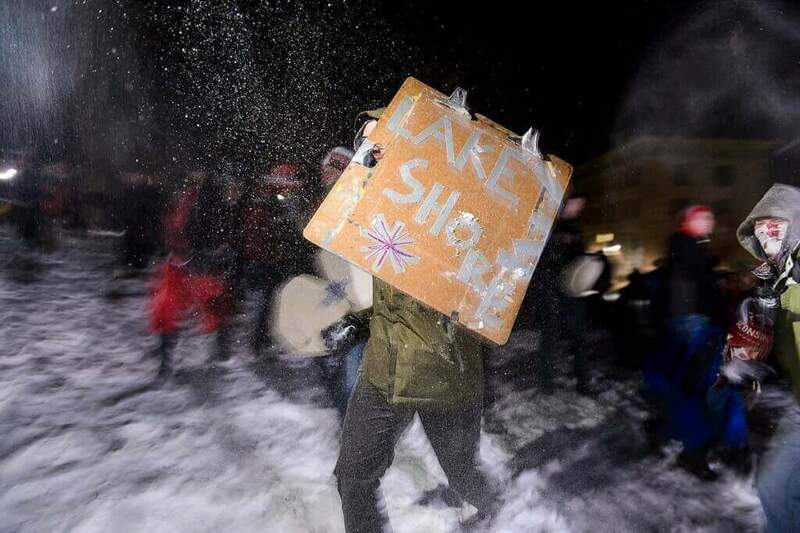 This year marks the first time this event was held at night and the Lakeshore team again claimed victory. 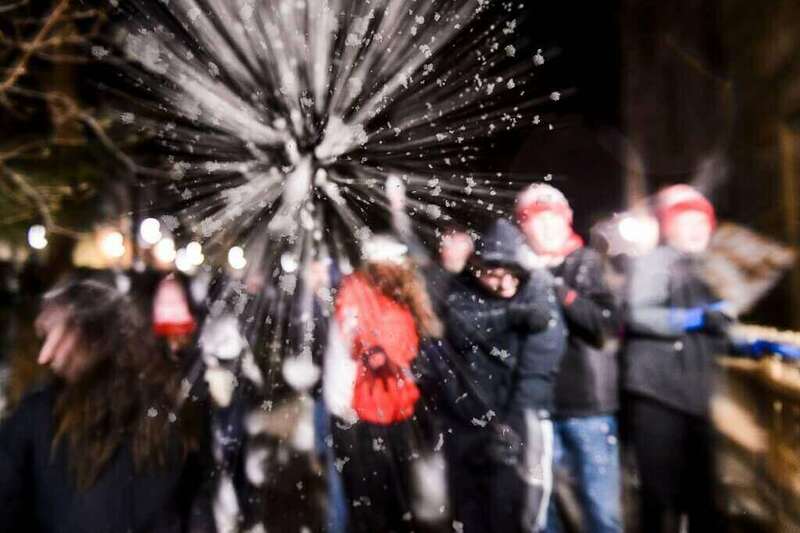 Photos by Jeff Miller and Bryce Richter.